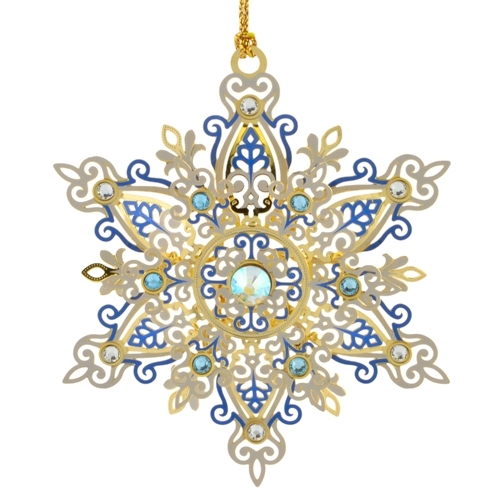 Add this lovely snowflake ornament to your Christmas tree and enjoy the Christmas light reflections. This brass ornament is artisan crafted from the finest brass and hand painted for a one-of-a-kind look. It includes pretty glass jewels too.